According to the Blackhawks, tests indicated on Saturday morning that defenseman Brian Campbell has a sprained right knee and will miss the next four weeks. After he left the ice on Friday night, initial fears were that Campbell may have suffered ligament damage and could miss substantial ice time. This news is a relief, despite the reality that the Hawks will begin their title defense without a key member of their blue line group. 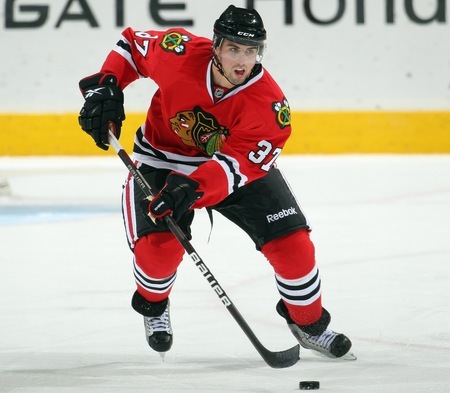 Coach Joel Quenneville indicated that Nick Leddy, the Hawks’ top prospect, will pair with Niklas Hjalmarsson in Campbell’s place on Sunday night, and that this injury opens the door for Leddy’s NHL career to begin just one year out of high school. The Blackhawks acquired Leddy in a trade last season that sent Cam Barker to the Minnesota Wild. Leddy was the Wild’s first round draft pick in 2009, and has been impressive ever since coming to Chicago for the Hawks’ prospect camp in July. Without question, Leddy is a big part of the future of the Chicago Blackhawks, and the injury to Campbell started the succession plan early. If the injury was more serious, GM Stan Bowman may have been forced to look for a potential replacement elsewhere. But the Hawks organizational strength on the blue line, and the fact that they have an elite puck-moving defenseman on the cusp of being ready for prime time in Leddy, will allow the Hawks to replace Campbell with internal options. 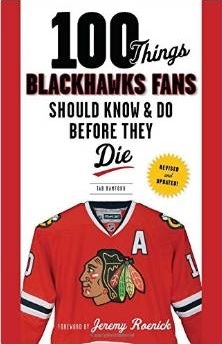 One fallback of Leddy being assured an NHL roster spot is that, with his $1.4M salary cap number being in the NHL, the Hawks will probably only carry 21 or, at most, 22 players on their roster to open the season.